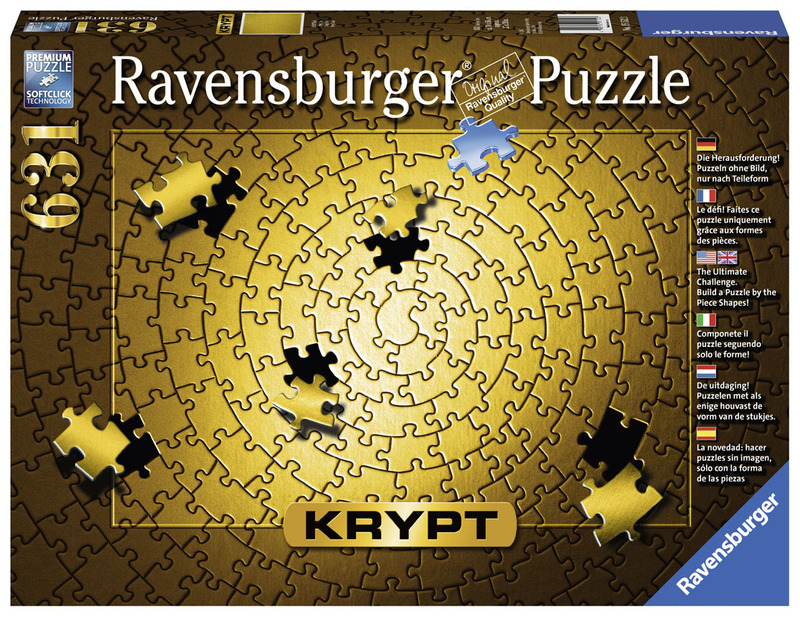 Krypt - Gold from Ravensburger is a new incarnation of the worlds hardest puzzle! This gold version represents a true challenge, for the most experienced of puzzlers. For experts! This item features exactly 631 pieces. Loved working this puzzle. Such a challenge, but a feeling of accomplishment when finished.